Farmer Maurice Wilks wanted to build a vehicle that could work as both a light tractor and a road transport. He and his brother Spencer created Land Rover in 1947 in Solihull, England. At the time steel was being strictly rationed by the British government. It was allotted by the amount of product exported. Being a start-up company with no business, they knew they’d stand little chance of getting any so they decided to construct the body of their transport out of Aluminium and Magnesium Birmabright. 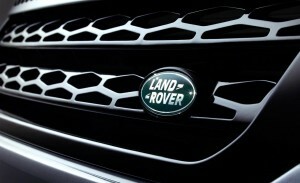 This decision was instrumental in the success of Land Rover, making the model lightweight and resistant to corrosion, and helping to cement a reputation of durability. Land Rover was also capable of powerful take-off and had superb traction even on uneven surfaces. Through the years the company’s marketing and design strategy has changed to encompass a larger segment. Luxuries and amenities have been added while maintaining the off-road ability that has made it so well known. Land Rover are still pushing their own boundaries to make their car more appealing to a wider market, the Ranger Rover Evoque is the most recent example of this. It began as a workhorse and was heavily used by the military. Now, it is sought after by people from all walks of life.